We are excited to announce that Lisa Orinn, Founder/Director of Music Play Studios is expanding her vocal studio. In addition to lessons currently being offered for adults, Lisa is also now offering voice lessons for teens and pre-teens 11 years old and up. 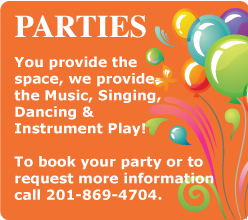 If you would like to schedule a lesson for you or your child, please call our office at 201-869-4704.